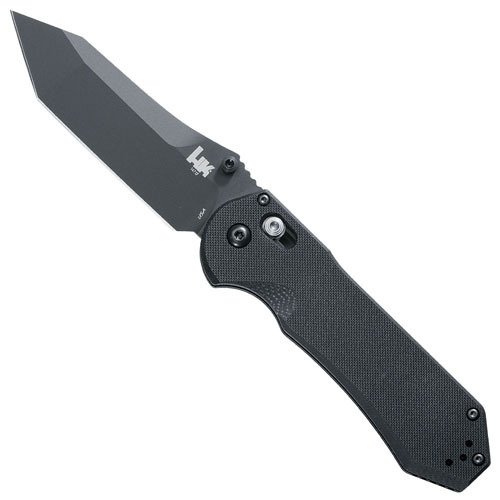 The HK Knives AXIS Tanto folder is designed to deliver a high quality cutting performance. The G10 handle has ergonomic textured grips, making it comfortable to hold and handle. The interior stainless steel frame has two omega springs in the AXIS lock system, keeping the knife stable and secure once deployed. Measures 212 mm (8.3 inches) in overall length.